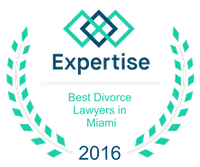 Domestic Violence | Miami Family Lawyers Vilar Law, P.A. Chapter 741 of the Florida Statutes creates an expedited procedure for victims of domestic violence to obtain security and peace of mind through the issuance of a protective injunction, also known as a “restraining order”, on an emergency, temporary, and/or permanent basis. The injunction, which is enforceable by the police and punishable by arrest and criminal prosecution, typically prohibits the offending party from having any personal contact or communication with the victim, as well as other measures and conditions tailored to the situation. Domestic violence is any act of violence or threat of violence between family or household members. Violence is defined by the statute as any assault, aggravated assault, battery, aggravated battery, sexual assault, sexual battery, stalking, aggravated stalking, kidnapping, false imprisonment, or any criminal offense resulting in physical injury or death of one family or household member by another family or household member. A family or household member covers not only spouses, former spouses, unmarried parents of a common child, and persons related by blood or marriage, but also any individuals who live or have lived together under the same roof, like roommates. A special division of the Circuit Court, called the Domestic Violence Division, has been set up to handle these cases, as well as the cases of repeat violence between unrelated persons, sexual violence, and dating violence under Florida Statute Section 784.046. Any branch of the County Court, as well as other various locations, have an intake office where the process of obtaining a domestic violence or related injunction is begun by the filing of a petition and affidavit. Court officers are on hand to help victims who may not yet have an attorney to file a sworn petition for an injunction based on the particular facts of the case. Any person covered by the statute who is a either a victim of domestic violence as defined in the statute, or who has reasonable cause to believe he or she is in imminent danger of becoming the victim of any act of domestic violence, has the legal right to file a sworn petition for an injunction for protection against domestic violence. Even though a person has not been a victim of domestic violence, if he or she has a reasonable basis to fear an act of violence may be committed at any time without warning, he or she is said to be in imminent danger and is entitled to the protection of an injunction. If the domestic violence intake officer and the judge find probable cause to believe the victim is, in fact, in imminent danger, a temporary injunction will be issued immediately on the spot, without giving the alleged perpetrator an opportunity to respond. Once issued, the Petition will be personally served upon the party by the police and is effective upon service. A hearing will be scheduled, usually within two (2) weeks of this so-called “ex parte injunction” to give the offending party a chance to be heard by the Court at that time. At the hearing, the Court will hear the evidence from both parties and then determine if the injunction should become permanent. But “permanent” here means a duration of one year, and not indefinitely. Although a permanent injunction is in effect for only one year, it can be obtained again if new grounds for it exist. Domestic violence in the context of a marriage with children can have serious consequences and give rise to many related issues, including the right to the use of the marital home and complications in implementing a timesharing arrangement with the children. For this reason, when there is any proceeding in family court, whether it be a dissolution of marriage, action for paternity or support, or post-judgment litigation, and the parties are also involved in a domestic violence case, the two matters can be consolidated in Family Court. Domestic Violence Court is a specialized court designed to deal with the narrow issue of domestic violence efficiently and economically, but Family Court usually takes control of a domestic violence case due to the many family law issues which are affected by charges of domestic violence. Though the Domestic Violence Court is specialized in its mission and geared toward assisting unrepresented parties with a problem having such a harmful impact on society, your chances of prevailing are greatly improved with an experienced attorney by your side. If a divorce or paternity case is pending or is contemplated after a domestic violence case has already been commenced, it may be transferred to Family Court, where the broader, more complicated issues are resolved, and make it even more important to have an experienced attorney representing your rights.